We have the joy of working with the small Blenheim male from Pansy’s litter as an Accelerated Puppy. We have started crate training with him and have been socializing him with as many people as we can. Once he’s had his 2nd shot we can start taking him more places with us so he can meet even more new people and get used to traveling in the car. He is a very social boy and full of energy. 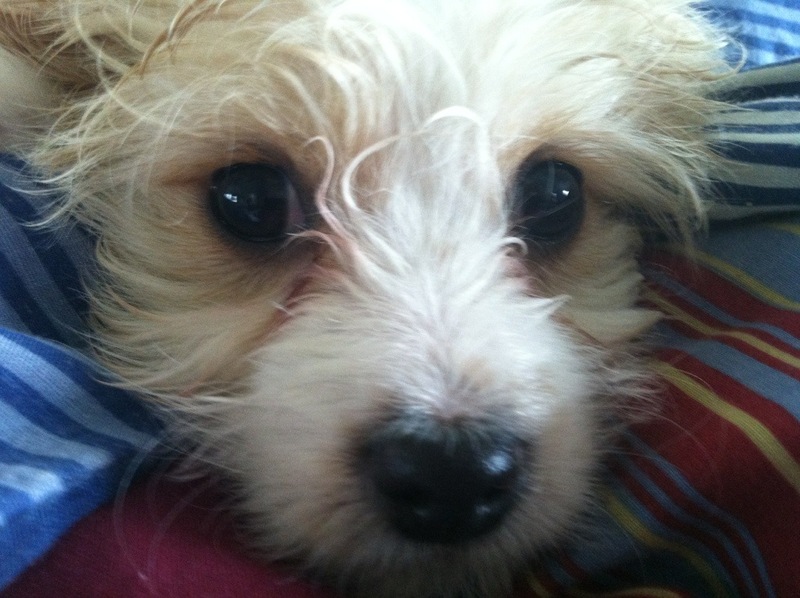 His final destination is New York City after he is neutered. This should be a fun journey. It rained outside, and he got a little wet when he went out to potty. We brought him in and snuggled him in a big blanket! He is very curious and alert to all of his surroundings! 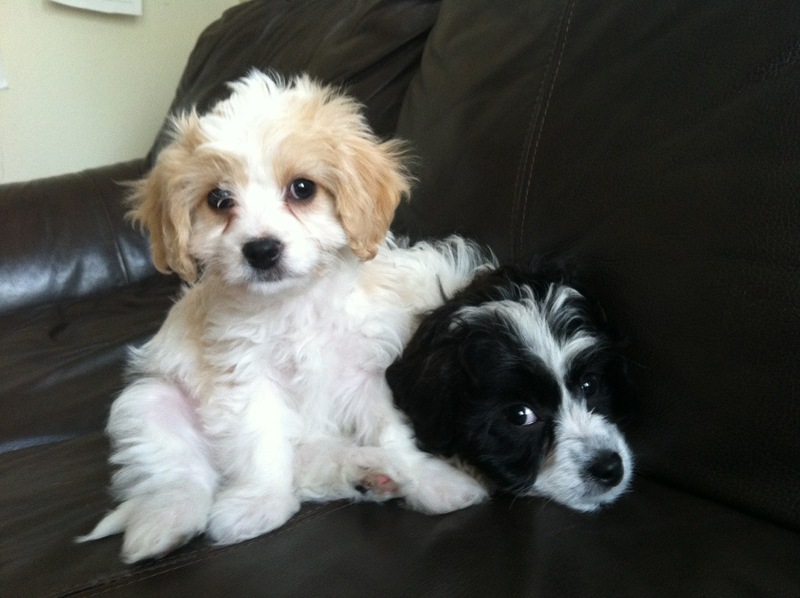 His current buddy is “Bella”, the black/white Cavachon female that is still available for adoption. 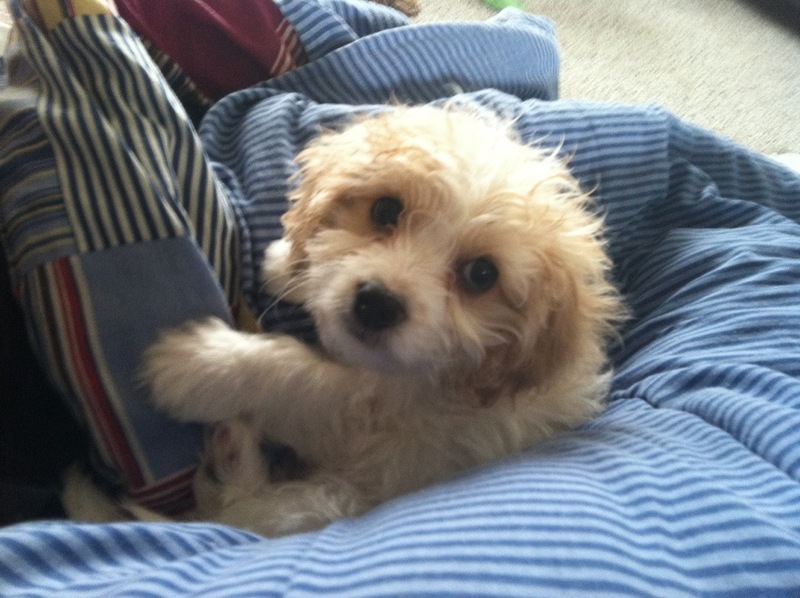 He is a lover boy and a ball of wiggles! 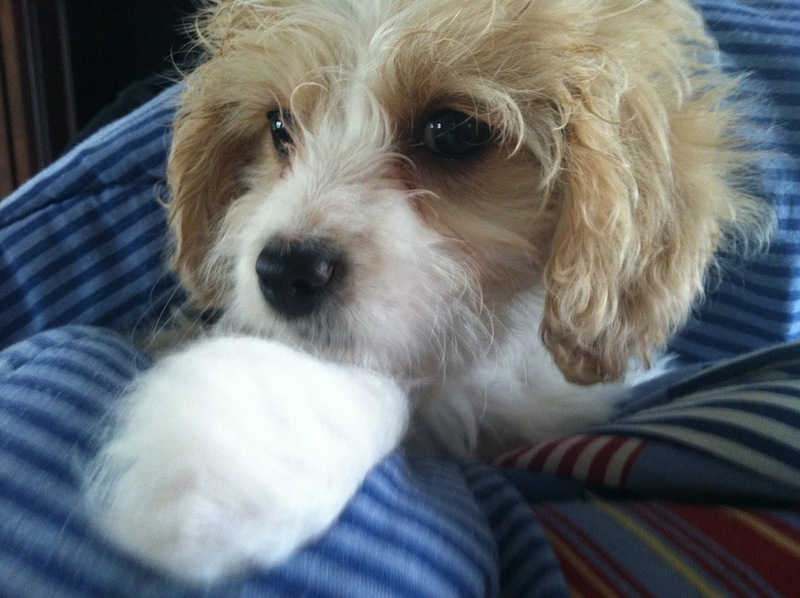 This entry was posted in Accelerated Puppy, Blenheim, Cavachon, Pansy, Reserved Puppies, Skippy. Bookmark the permalink.